Interactive Window is our standard format that combines sophisticated technology with interactive experience into a digital yearbook whose navigation resembles that of a website. Viewers can access any and all pages from the yearbook’s main navigation page. With Interactive Window, every student, teacher, club, team and special occasion has its own dedicated yearbook page to capture memories, emotions and history. At the beginning of the school year, all schools have the option of choosing the format they desire, Interactive Window or Virtual Book, and then specify any customizations beyond the standard layout and design available in that format. At the end of the year, the Interactive Window productions can be quickly delivered directly to our customers on CD- or DVD-ROM. 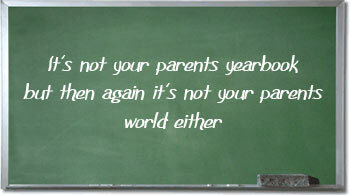 Yearbooks are also available for distribution in Virtual Book format. Click here to view an online demonstration of the Interactive Window format.